Wolf, who lives in a forest, has no self-control and his moods changed constantly. Wolf’s friends teach him yoga, running, and baking to help him learn self-control. Wolf gets frustrated and storms off. With the advice of a friend, he apologizes. Wolf then uses the skills he learned to create a celebration for his friends. The illustrations are colorful showing Wolf’s feelings as he learns self-control. This book is in the Wolf series, which is a popular in France. It was first published in France, this is the English version. The end pages show the wolf surrounded in colored squares with different feelings. 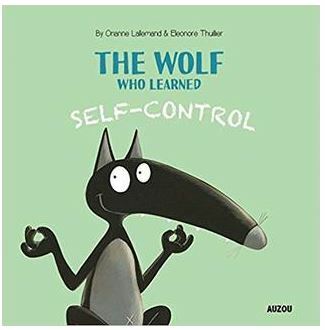 Verdict: Children who are learning self-control will benefit from the lessons Wolf learns. 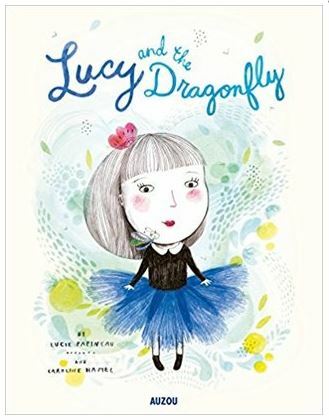 Themes of self-confidence and friendship are intertwined in the story. November 2018 review by Tami Harris.